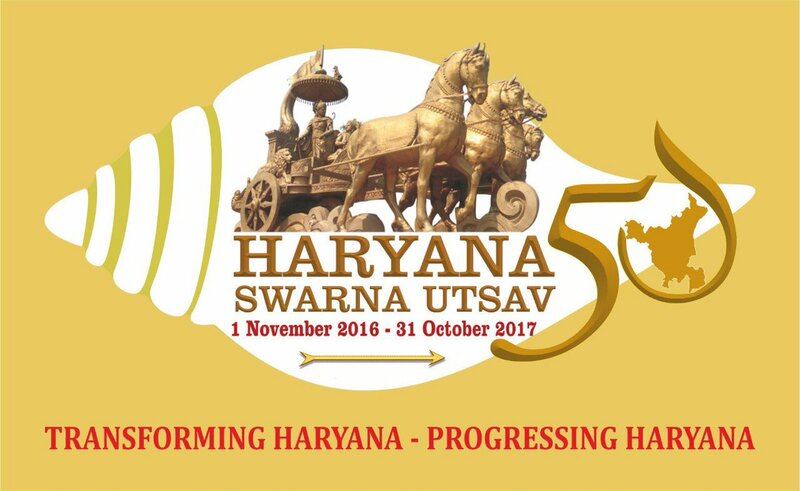 The Industries & Commerce Department, Haryana, is responsible for the development of industrial sector in the State. It functions as the nodal department to promote industries and to facilitate the entrepreneurs in setting up of Industries in the State. The role of the department is promotional and that of a motivator. Potential entrepreneurs are advised regarding availability of land, procedure for allotment of land, conversion of land use, incentives and concessions available to the industry, pollution control and other clearances required and facilities available from other Government departments / agencies. It is also the nodal department of the State for implementation of Central Government policies relating to the manufacturing and commerce. 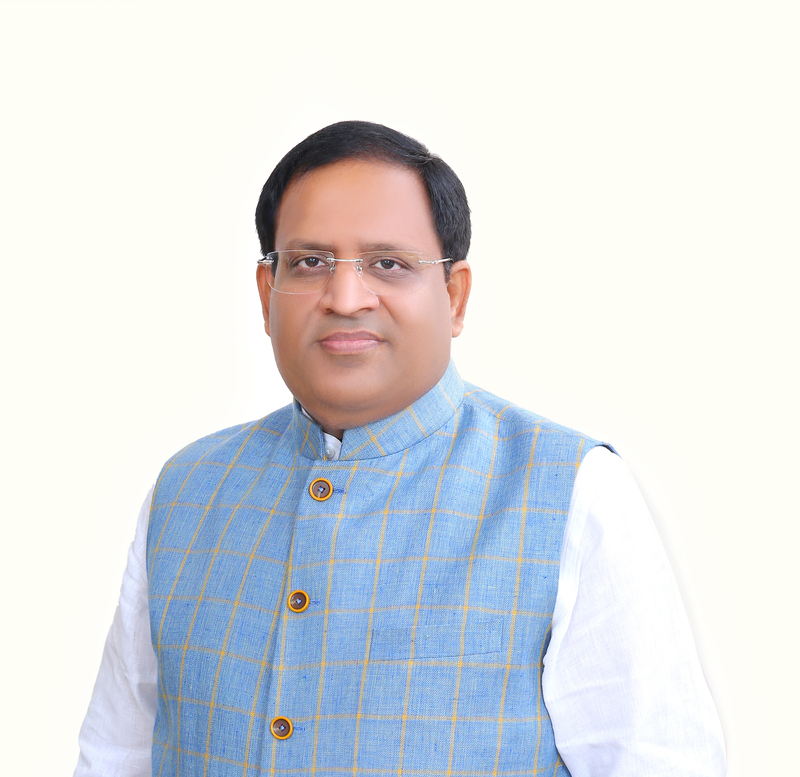 To that end, it is responsible for provision of a policy framework, facilitation and advisory services for ease of starting businesses, drive the industrial infrastructure development for provision of developed land for the industrial ventures and coordinates with various related government departments (i.e. 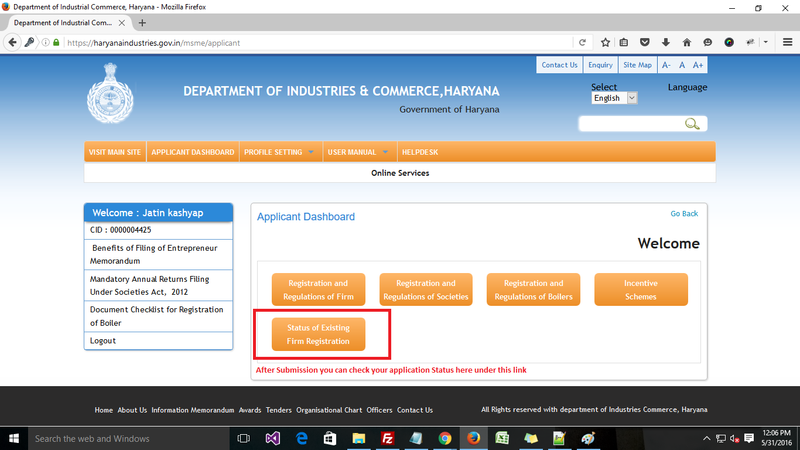 Commercial Taxes, Labour, Town & Country Planning, Pollution Control Board etc.) for various clearances and enforcement of the regulatory requirements. 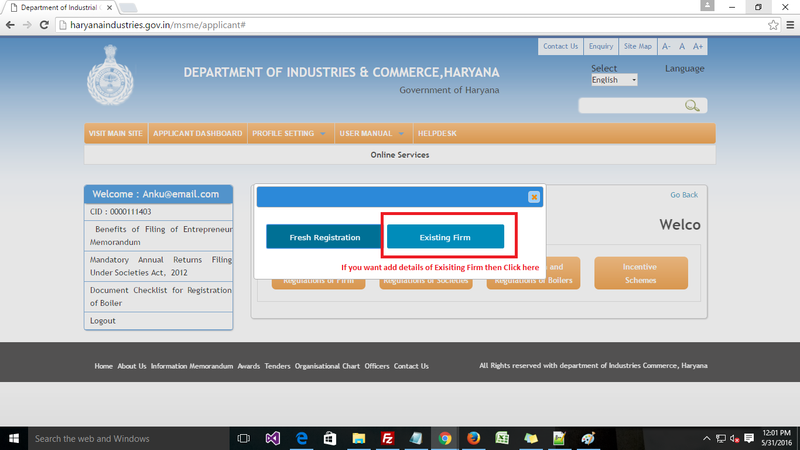 STEP 1 : REGISTRATION (Create a new account and register on this portal). 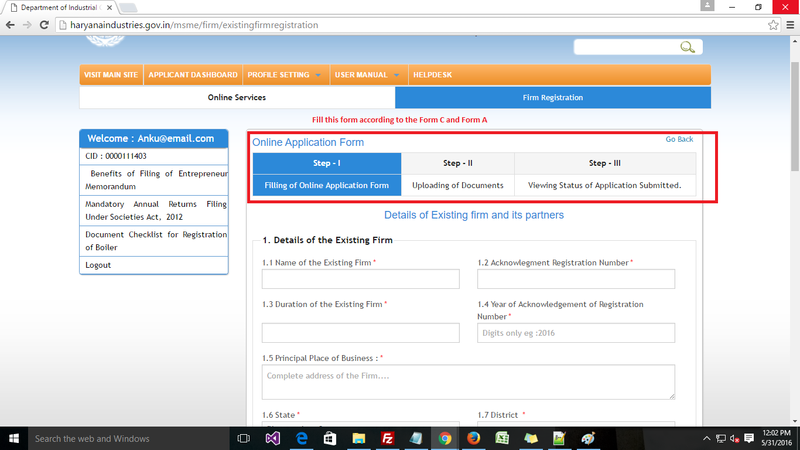 STEP 3 : CLICK ON "Registration and Regulation of Firm"
STEP 5 : Complete 3 Steps and Submit the Details of your Existing firm. 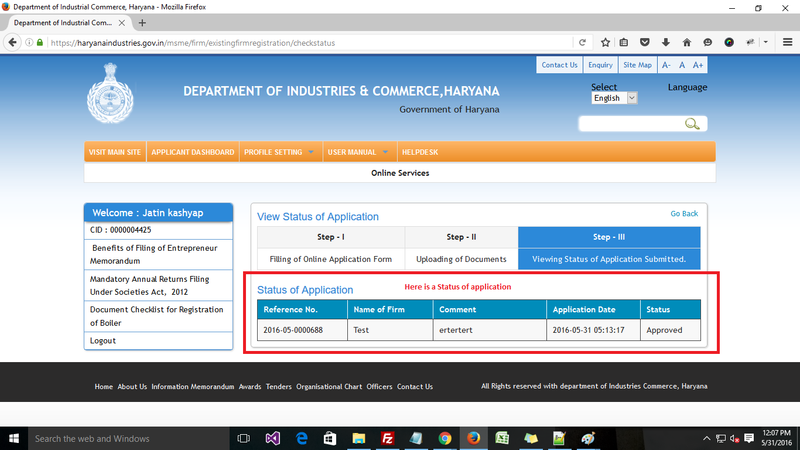 STEP 6 : Check the Status of Submitted application. 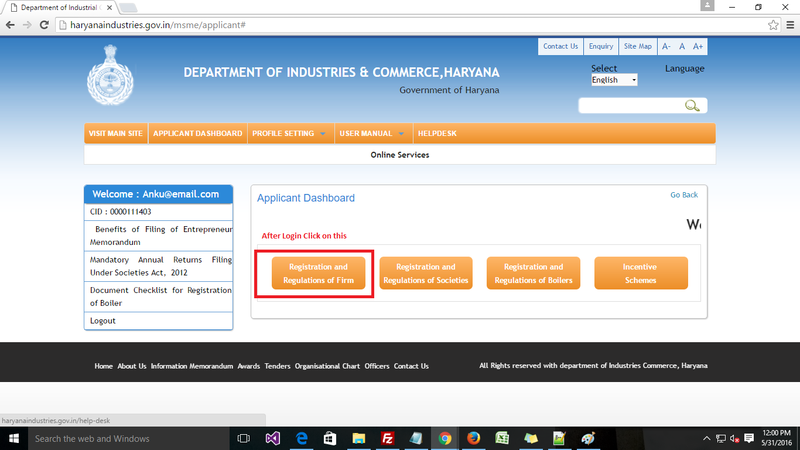 Note : The submitted application will be checked and verified only then you can apply for the changes in partners/address/name of the firm. 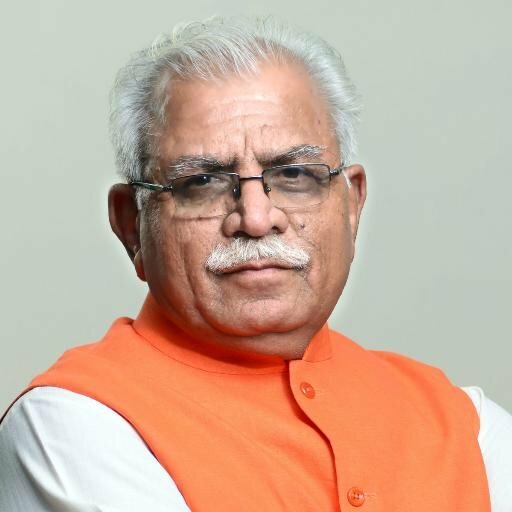 The State of Haryana has been ranked among top three Best Performing States under ASIDE Scheme consecutively for last three years for creating appropriate infrastructure for the development and growth of Exports.